Doyle Tonneson began flight training with ATP at our Bowling Green Kentucky Flight Training Center in July of 2013. Doyle already had his Private Pilots License so he moved quickly through his training, acquiring his Instrument and Multi-engine ratings as well as his Commercial Certificates. At that point Doyle decided that he would take advantage of an opportunity that he had to fly a Cirrus SR22 to gain flight experience as well as make a living. 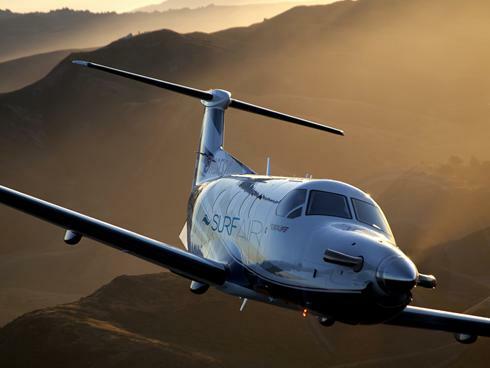 Doyle then accepted a job flying a Pilatus for Boutique Air before going to Surf Air to do the same. 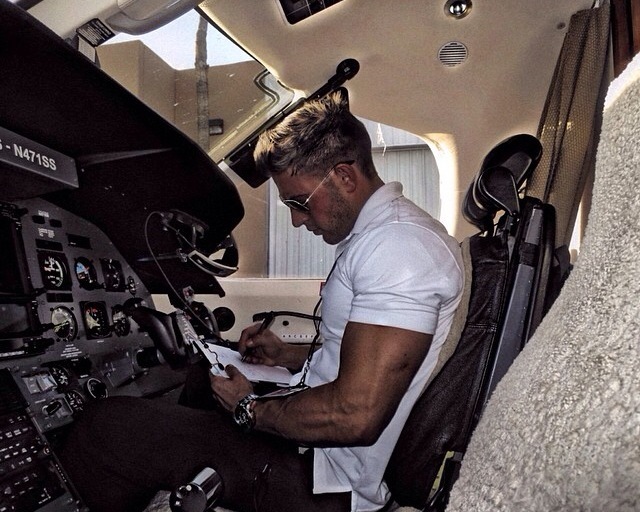 We contacted Doyle and asked him to tell us about his career, and one alternative to flight instructing to build flight experience. How was your transition from training at ATP to your present flying job? It was fairly easy, I didn’t go the CFI route so I knew I had to throw myself out there if I was going to get the time I needed and pursue this as a career. No one was going to approach me so with that said I really started networking in the SoCal area and reach out to as many Part 135 operators as I could. All west coast runs. Burbank, San Carlos (Bay Area), Lake Tahoe, Las Vegas, Santa Barbara, LA- Hawthorne for schedule ops. We also offer charter service which can take us pretty much anywhere in the country. First Officers start out at $29.65/ flight hr, after 6 months $33.65/ flight hour. 75 hour monthly guarantee. Typical day starts early with a 0530 or 0600 show. The F/O is responsible for the walk around and getting the plane catered for every flight. All our members have high net worth so getting everything on board that is requested is crucial. Typically 1.0-1.5 hr flights with 3-6 legs for the day. Charter flights we typically are on-call for, one week a month or however much you want to pick up. Best experience so far is being able to flying with such great talent. Our pilot group is really impressive. Not only do I feel really comfortable in the plane at such low time but all the captains are always willing to show you a trick or two. Great mentors. Being based in LA, I also had the privilege to fly Pirates of the Caribbean co-star Keira Knightley to the Sundance film festival in Salt Lake City, UT. Upgrade time 10-12 months or 1200 hrs TT. After upgrading to captain, there is talks about possibly getting some right seat time in a up and coming jet that will soon hit our line. What is your career goal for the future? My future goal is to become a Major Airline captain. Thank you Doyle, we bet that you’ll make it too.